I can’t work out if the answers are surprising or expected? In some ways its probably obvious that my biggest client sector is Financial Services, but to some people, who tell me, “we don’t need training, we use spreadsheets all the time” – perhaps it is surprising. At Financial Services clients, I teach a wide variety of departments, from Operations to Front Office, from Accounts Payable to HR – a few things they all have in common, large volumes of data, the desire to get to the answer, or complete a task as quickly as possible and most commonly – bad data including typos, missing values, extra spaces and exceptions – they need to know how to handle these. 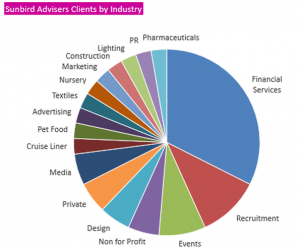 On the other hand, perhaps it is more surprising to others that recruitment firms and event organisers are next in the pie chart, however if you think about how much budget spreadsheets and forcecasts have a big part to play in these industries it might not be quite so surprising. Also, there is a need for candidates to upskill before they apply for new jobs, and Excel and PowerPoint training might be just the skills needed to get the job of their dreams! Microsoft Excel & PowerPoint training and Spreadsheet Consulting specialist with eleven years experience in the Finance department at Morgan Stanley. 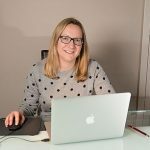 What is a Spreadsheet Consultant?